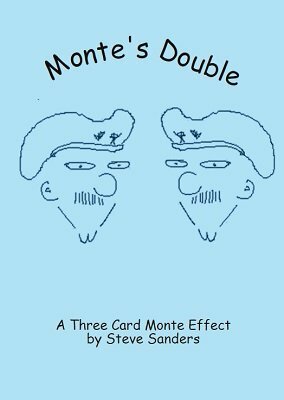 A simple and easy, but, effective way of doing the famous, or infamous, Three Card Monte. The effect where three cards are placed on a table and the 'money' card keeps appearing or disappearing! Using the story-line of Field Marshal Montgomery's attempts, during WWII, to keep the enemy guessing where he was, you use the cards to illustrate the story and allow you to use a very bad pun. 1st edition 2007, 3rd edition 2014, 8 pages.